Go to the Pickup Point Map. 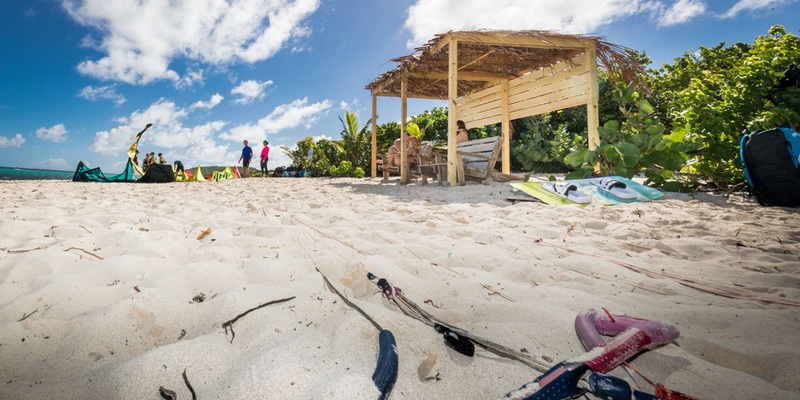 We are often asked why we came to Antigua and our answer is always the same: are there any better places for a kitesurfing school? 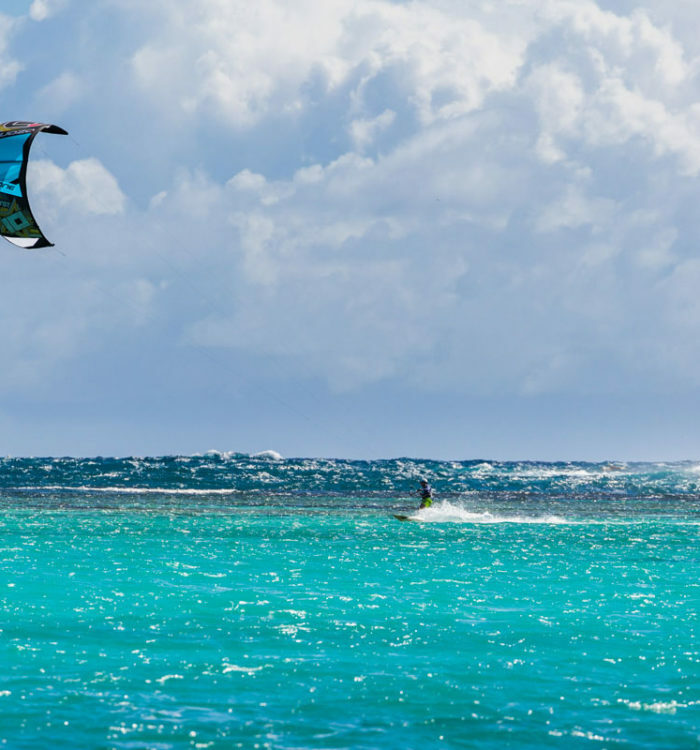 The Caribbean, at first, is a magic place in the world, you can wear t-shirt and shorts all the year around, happy people, safe environment, tourism related with sailing and water-sports enthusiast in general. 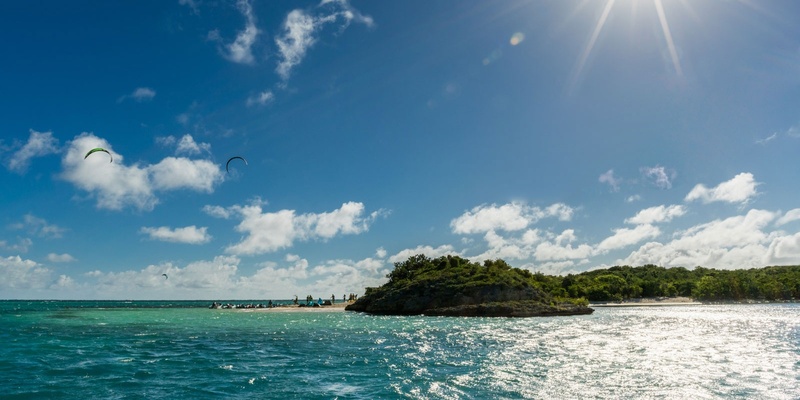 Antigua, more than any other island, has a very strong connection with sailing, with lots of regattas scheduled during the winter season and important harbours that can berth the biggest yacht in the world. The real cherry on the cake is Nonsuch bay: a huge water playground, open to the East where the prevailing winds are blowing from. A bay that is completely protected from the ocean’s swell by a corral barrier offering flat water conditions no matter how strong is the wind. 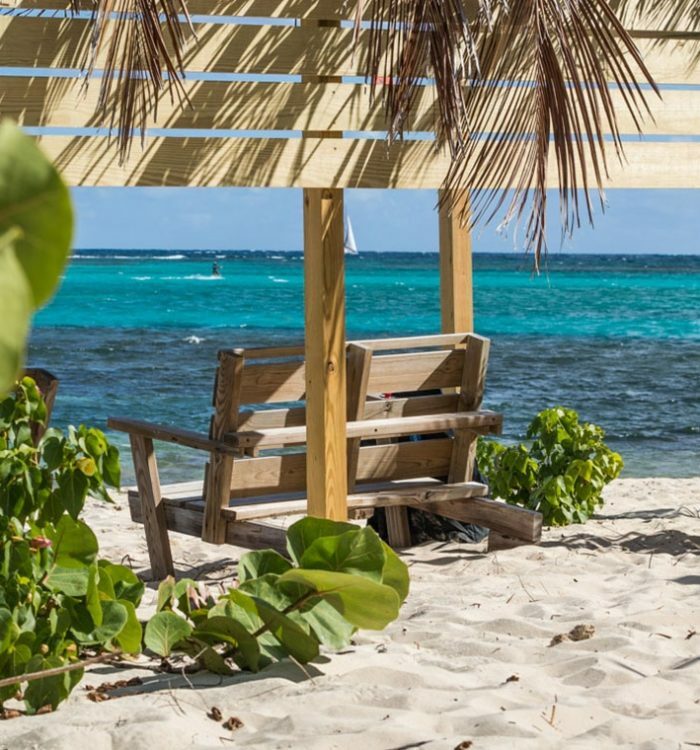 The launching spot is on the north shore of Green Island, at the mouth of Nonsuch Bay, an unspoiled and private island, reachable only by boat. 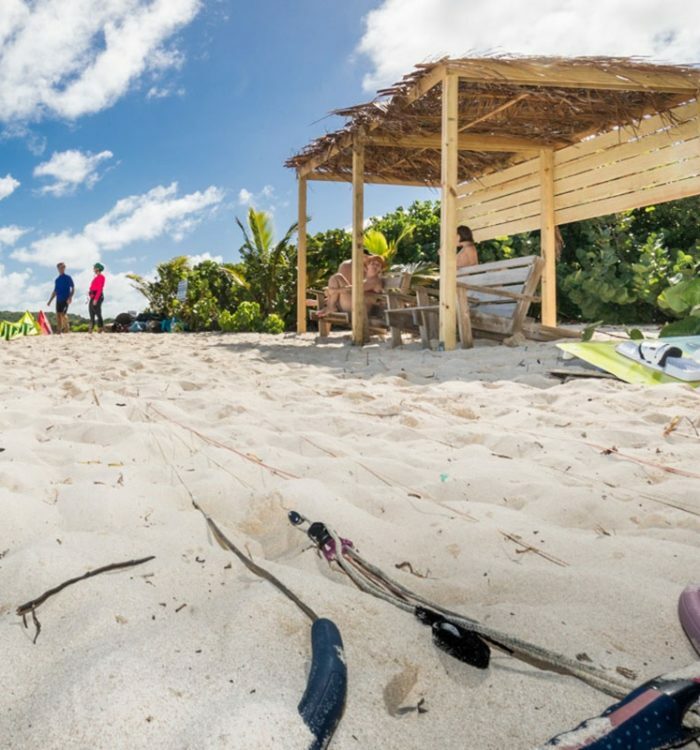 The spot, even during the peak season, is never crowded as we limit the numbers of kiters on the beach, making sure that it remains safe and exclusive. 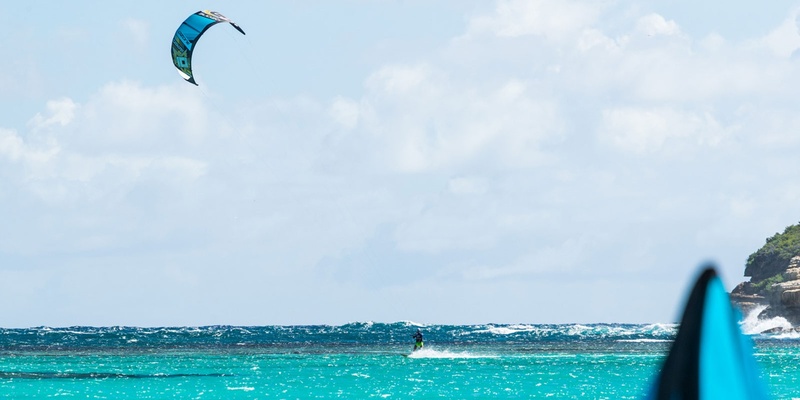 Reserve your Boat ride in advance and enjoy one of the best kites spot in the Caribbean! 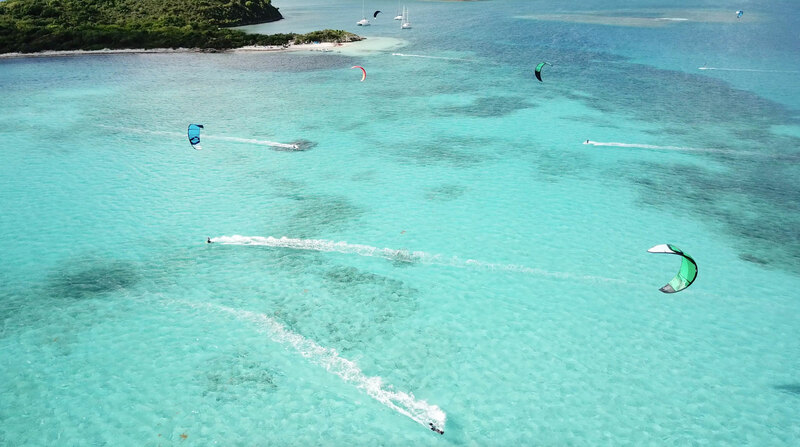 The 40knots centre is located inside the fabulous Nonsuch Bay Resort, a welcoming and relaxing resort on the east coast of Antigua. 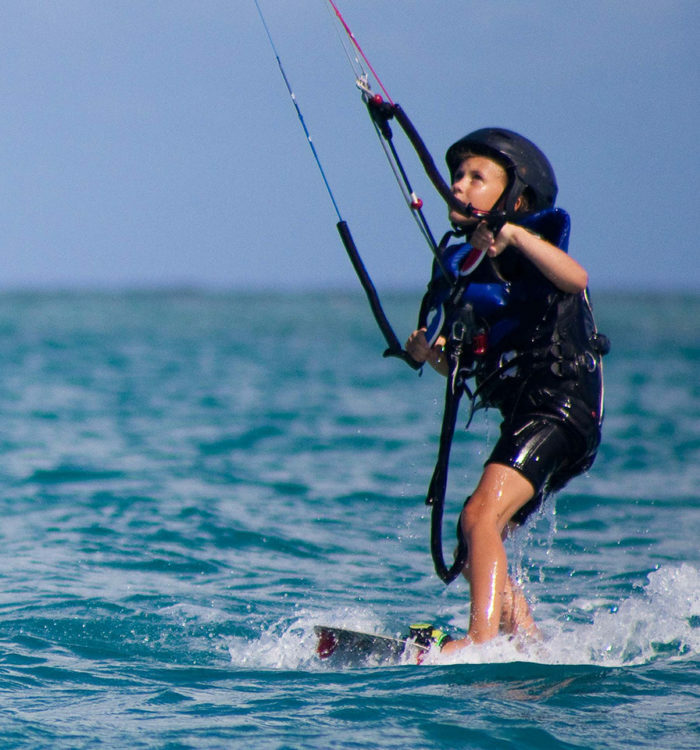 The Resort is particularly suitable for families with children, with lots of sport and fun activity for every age. 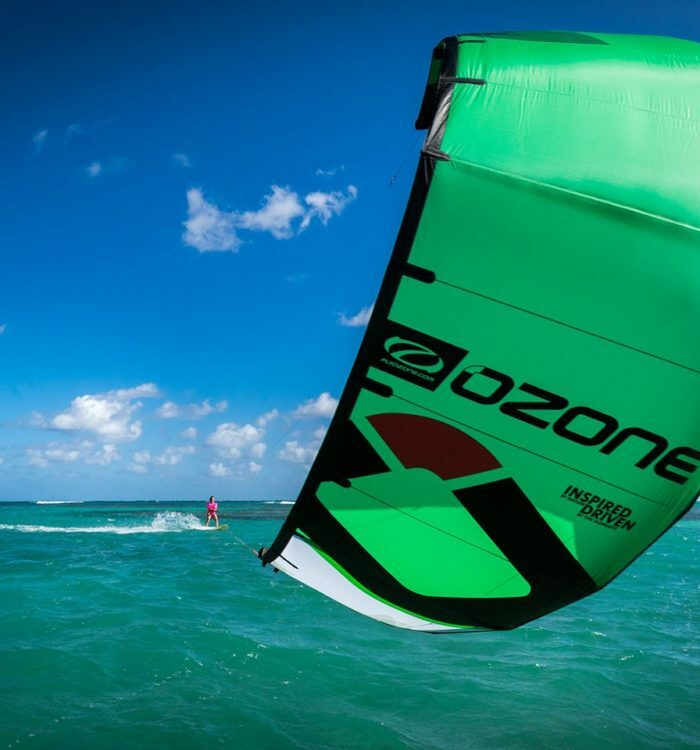 Nonresident guests are welcome in the Resort to take part to the 40knots activities as well as to use the restaurant, bar and the sailing dinghies. So, what are you waiting for? 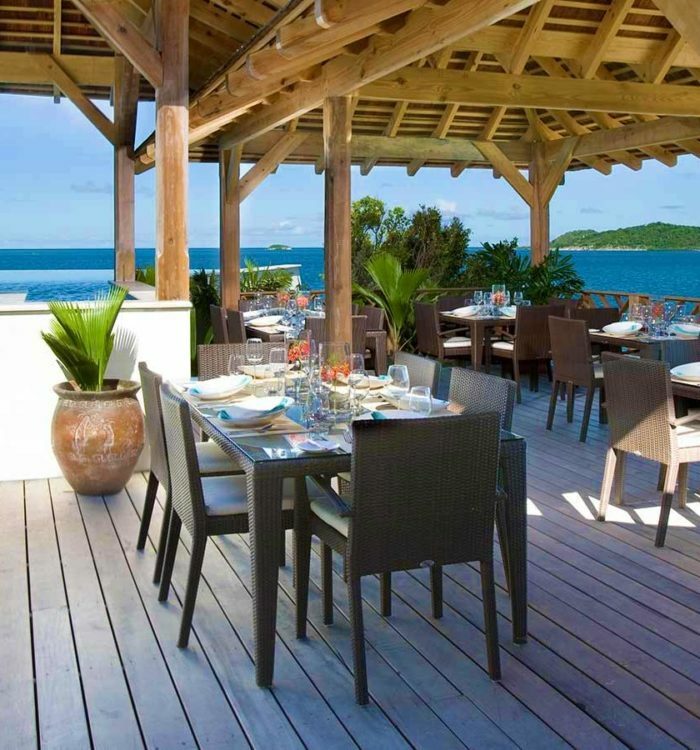 Join us in Antigua on your next holidays, we’ll make sure that it will be a truly special time. You’ll find the spot you are dreaming for and the people to share it with.